This week we launch the next stage of the Monteath Appeal – a three month crowdfunding campaign being run in association with My Park Scotland. THIS APPEAL IS FOR THE CONSERVATION OF THE MONTEATH MAUSOLEUM designed by David Cousin. 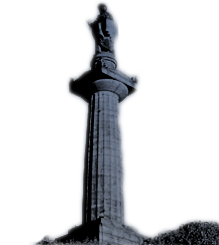 It was was built for Major Archibald Douglas Monteath, who served in the East India Company and was buried here in 1842. 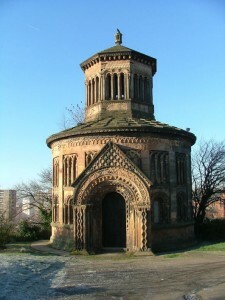 This mausoleum is now in real need of conservation and some of the issues need addressing quickly. So although we have raised some £20k of the £60k required to stabilise this iconic building on Glasgow’s skyline we hope this request for funding finds you able to help with the much needed conservation. We appreciate that the sum of money involved is substantial to complete these works. However a phased refurbishment is possible with sums raised being spent on the roof to prevent water ingress, and on stonework to stabilize the erosion and the general fabric of the building and bring aspects of the consolidation of the Monteath Mausoleum to completion in 2016.